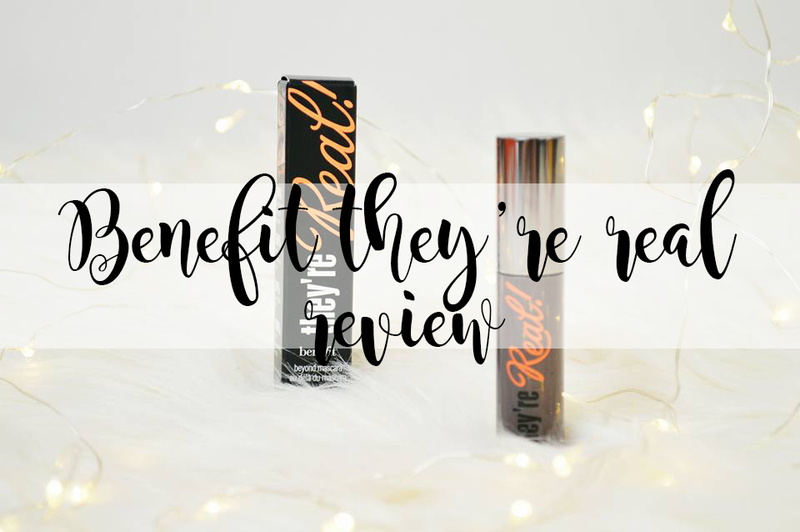 A while back I was kindly sent the Benefit They're Real Mascara to try out and review and the day has finally come for me to share my thoughts about it with all of you. I personally have never tried out Benefit products before until this mascara so I didn't have any expectations apart from what I've heard from other people about this mascara. However, I was very excited to try it out and see how incredible it would make my lashes look. Firstly, let's just talk about the packaging. 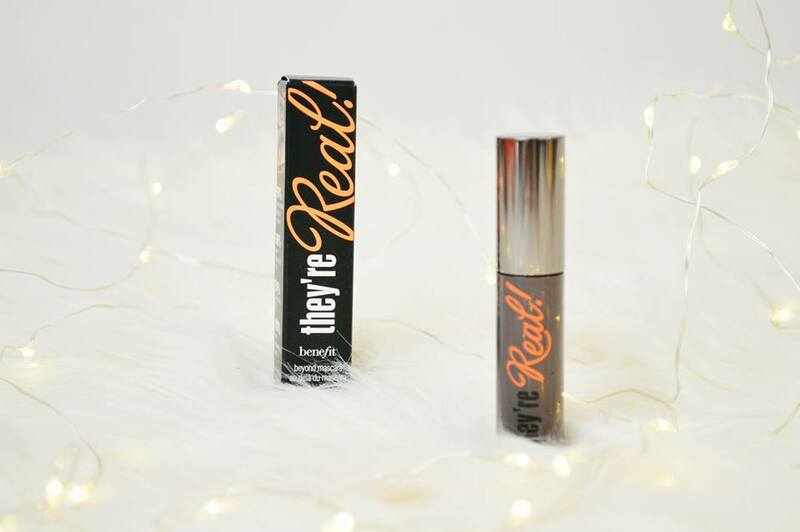 I do love how they've kept the "Real" the same colour on both the mascara and the box, but changed the colour of the word "they're". I feel they could make the packaging look ten times more beautiful like the rest of their range, however it's simplistic and eye catching because of the font of the words. Now let's talk about the wand. How happy does this wand make you? I tell you what, absolutely amazing. 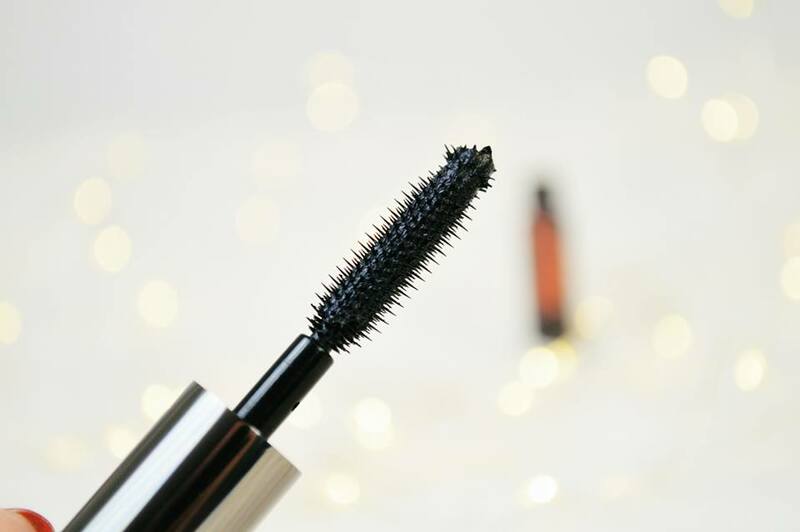 To see a mascara wand so pretty, precise and very thick but delicate, I love it and it makes me want to use it straight away. Plus, where's the excess mascara clumped all over it? There isn't any! So you want to know why I love this mascara so much? Firstly, the wand grabs every single eyelash and not many wands do this. But because there are so many tiny little bristles which cling on to every eyelash all at once, without putting too much product on at the same time. Secondly, this mascara separates every single eye lash too. I've found a lot of mascara's clump your eyelashes together, which isn't always a bad thing but sometimes I want to go for a more "open eye" sort of look where my eyelashes are all separated. This mascara gives me that look. It makes my eyes look more open, it makes me look more awake and it does make my eyelashes pretty much look like spiders legs, but I like that! They're long and they are beautiful. The only thing I do not like about this Mascara is how much of a pain it is to remove. I find it such a struggle and I'm still trying to find a makeup cleanser, or some sort of micellar water which will remove this mascara completely. But I'll find one, eventually. Have you tried this out? Let me know if you've found a makeup remover which completely removes it. This post features product(s) which I was sent for review purposes, however all thoughts and opinions are my own. I definitely agree, this mascara is very tough to remove. I haven't found a remover that gets it off completely yet. (By the way, I love your photography).